I'm trying to plot the following function for two different values of variable m. However, it seems the second figure never appears. Weirdly, I noticed that real numbers are being attributed to variables x and y. Please make sure your "thetas" are consistent. After changing all the thetas, I seem to have gotten your code to work. Please see the linked figure. Not the answer you're looking for? Browse other questions tagged plotting variable-definitions coordinate-transformation or ask your own question. When is Evaluate needed within function arguments? How to plot the graph of the equation F[x,y]=0 if y is real number, x is complex? 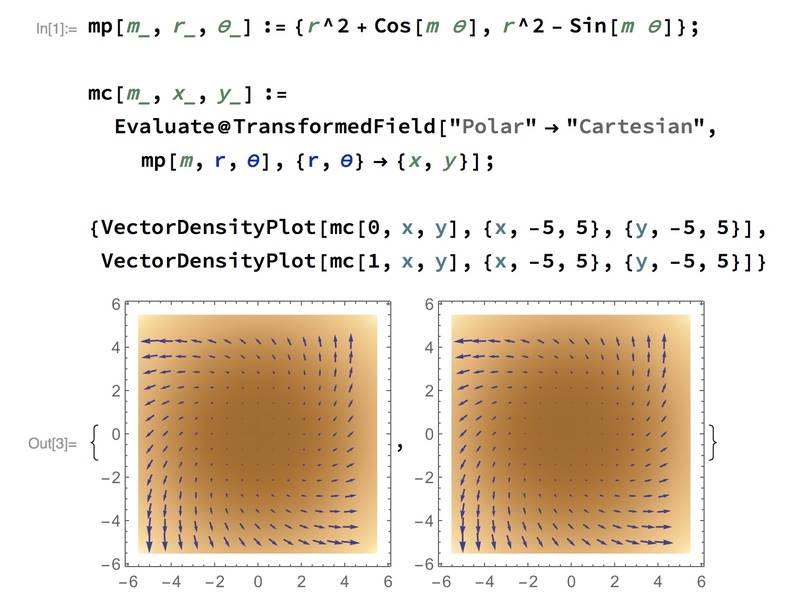 How to let Mathematica ignore complex values in Plot functions? Why PolarPlot can have negative $r$?